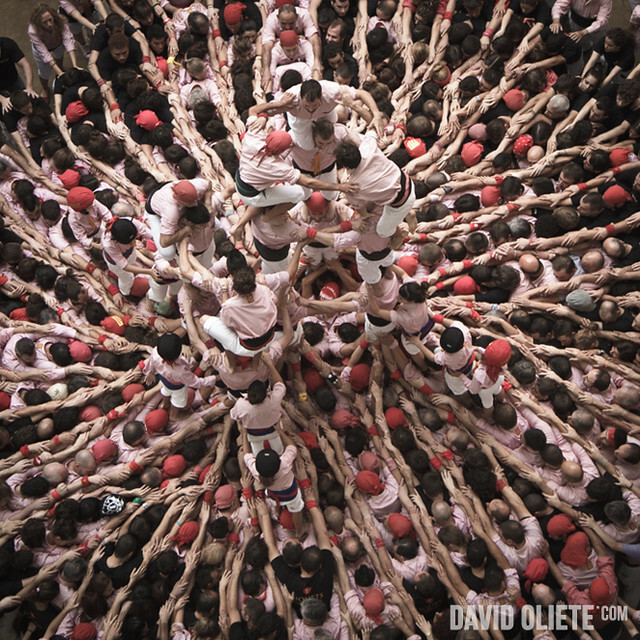 Spanish photographer David Oliete Casanova took remarkable photos and video of the 2012 Concurs de Castells, a human tower-building competition in Tarragona, Spain. 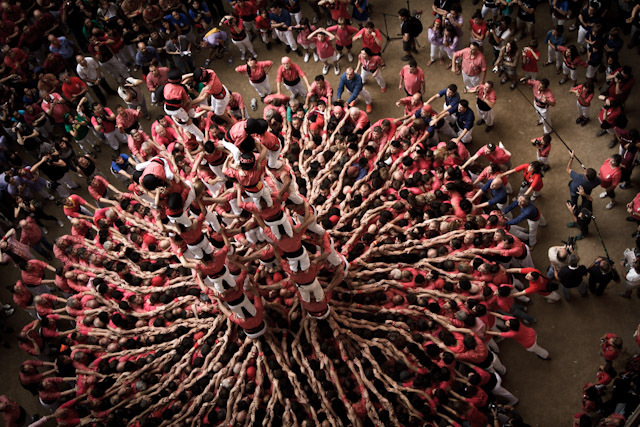 The human towers, or castells, have been built during festivals in the Catalonia region since the late 18th century. 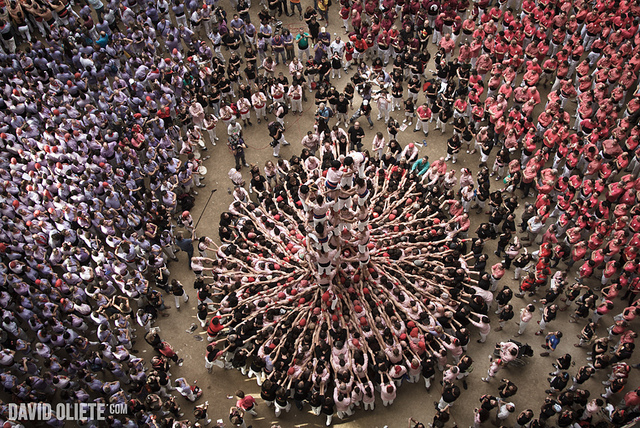 The process may look chaotic but it is highly organized—team members are assigned to specialized roles depending on their strength and size. 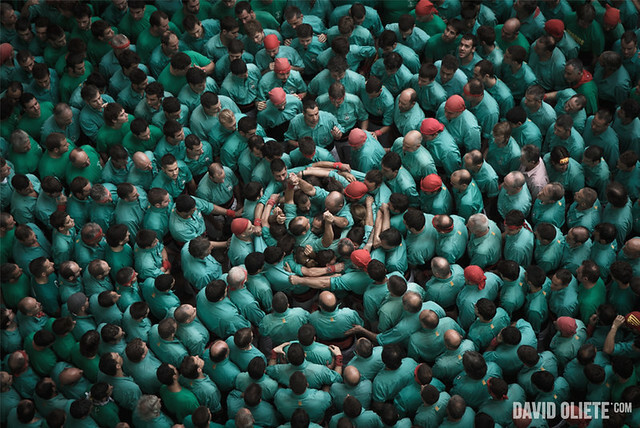 For more on the tradition, see our 2011 post on castells.